The Act provided for women aged between 25 and 60 to have their names placed on the jury list on the same basis as men – if they so desired. New Zealand’s first female juror was Elaine Kingsford, who sat on a case at the Auckland Supreme Court in 1943. Interviewed by a National Film Unit crew, she raised the possibility that one day there might even be women judges – a thoroughly radical idea at that time. This was one of a number of important milestones for New Zealand women in the 1940s, which were in part driven by the demands of war and the absence of servicemen overseas. The first women police officers completed their training in 1941 (see 3 June). In June 1945 Mary Anderson, who had been a Justice of the Peace since 1943, became the first woman to sit on a Magistrate’s Court bench. 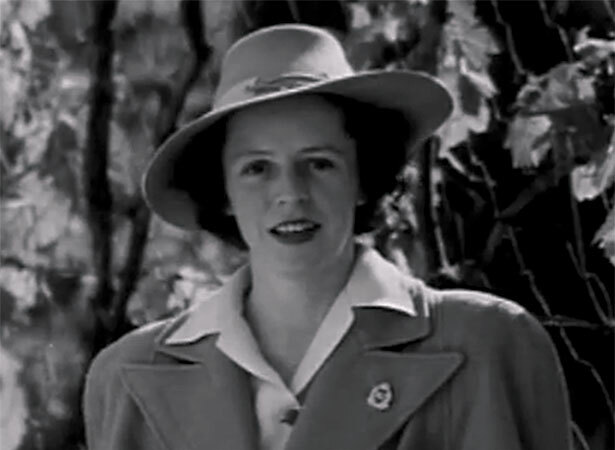 In January 1946 she and former Member of the House of Representatives Mary Dreaver were the first women to be appointed to the Legislative Council, New Zealand’s upper house. We have 15 biographies, 3 articles, related to Women Jurors Act allows women to sit on juries.